Change the background, texts, colors, and add your own photos. 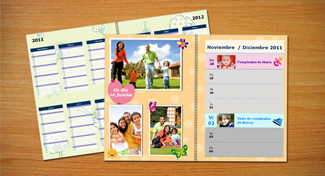 Choose from our wide selection of backgrounds, themes, masks and cliparts and create an agenda that you'll simply love! 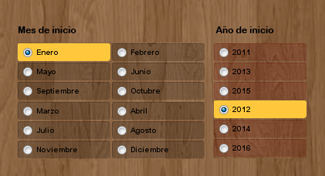 Thanks to the variable selection of starting months you can order this agenda during the whole year.